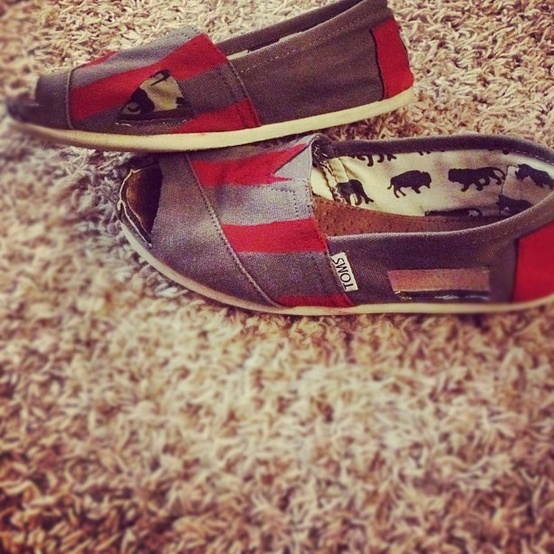 Glossers, I have a confession to make: I am addicted to TOMS shoes. I currently own six pairs, and I have one of the flags in my dorm room along with their stickers on my planner, laptop, water bottle, calculator and car. The problem is that, like any good shoe, they get a little too much love and start wearing out fast. Usually, when they start ripping beyond repair, I perform a little memorial service and cut out their heel with the TOMS flag applique and tack it to my bulletin board. 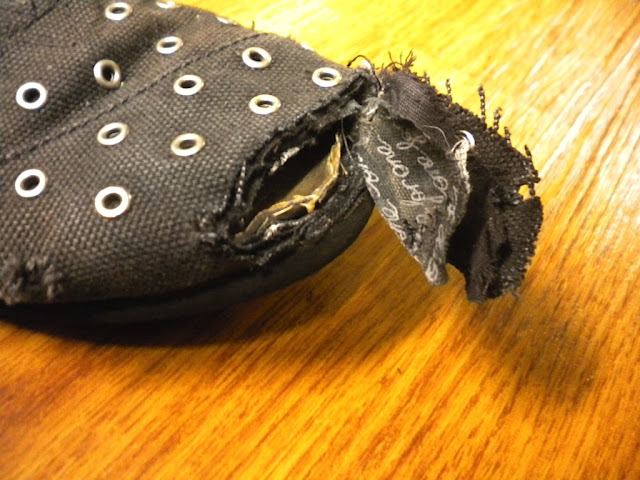 But I just can’t bear to part with two of the worn-out pairs I have now. 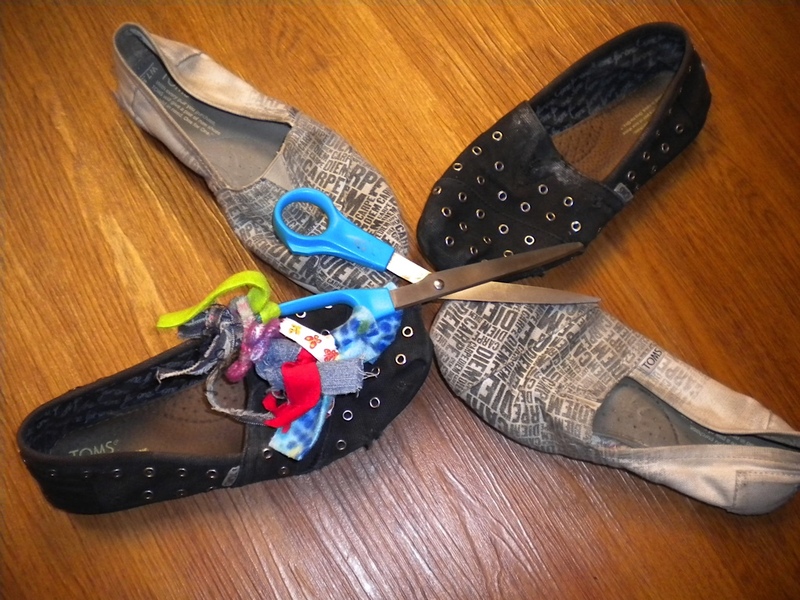 Thanks to the wonders of Pinterest, I have another option—I can restyle them! First, you need to kiss your TOMS and let them know that they will be okay (maybe my obsession is a bit intense ... no judgement). 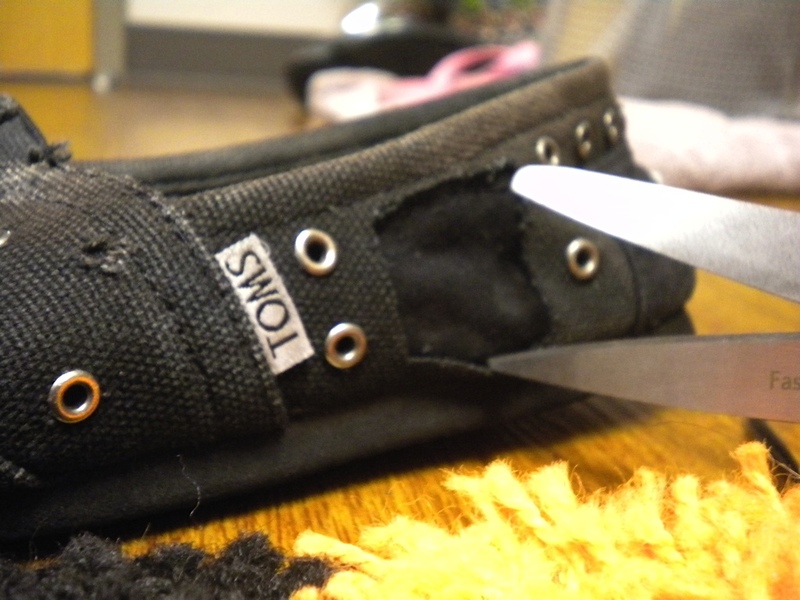 Once you come to terms that it is okay to cut your TOMS, take a pencil and make light lines and/or marks where you want to cut. 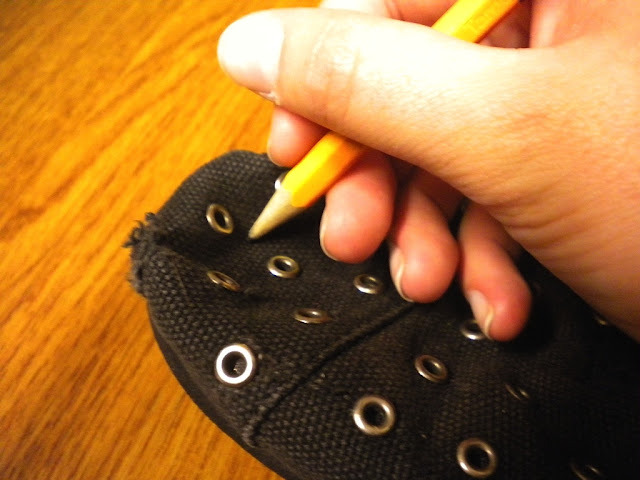 I wanted to do a peep-toe style, so I marked a semicircle shape around the toe. 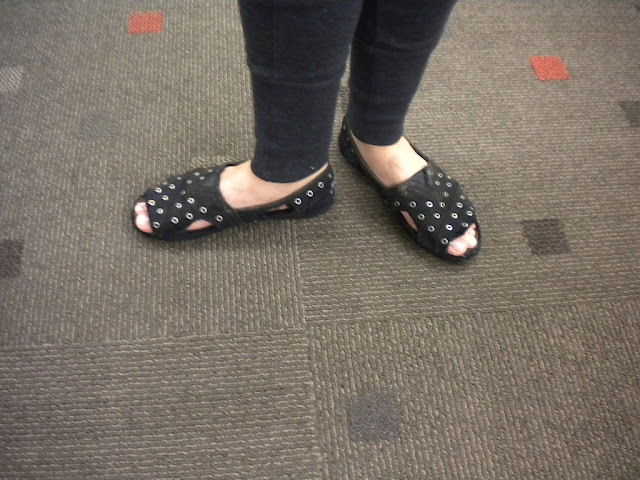 I made squares on the sides near the heel, and I made triangles on the inside and outside of the toes. Now that you have an idea of where you are cutting, all that’s left is to go for it. Take a deep breath. You got this. 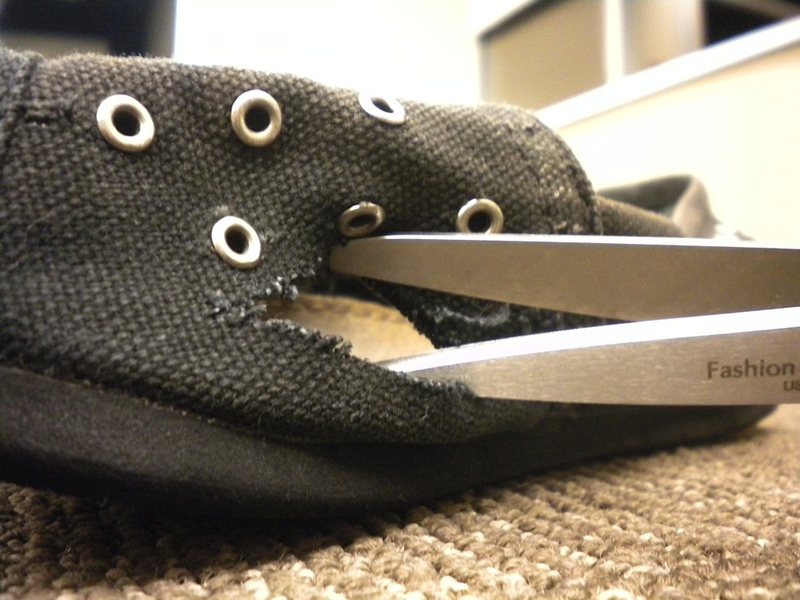 It helps to start off by pinching a little area so you can get your shears in there to make the first snip. Follow your lines for the best result. Continue to cut out the shapes that you may or may not have sketched out. This DIY, like many others, takes some guessing and checking. As I have said before, and will continue to say, it doesn’t have to be perfect. 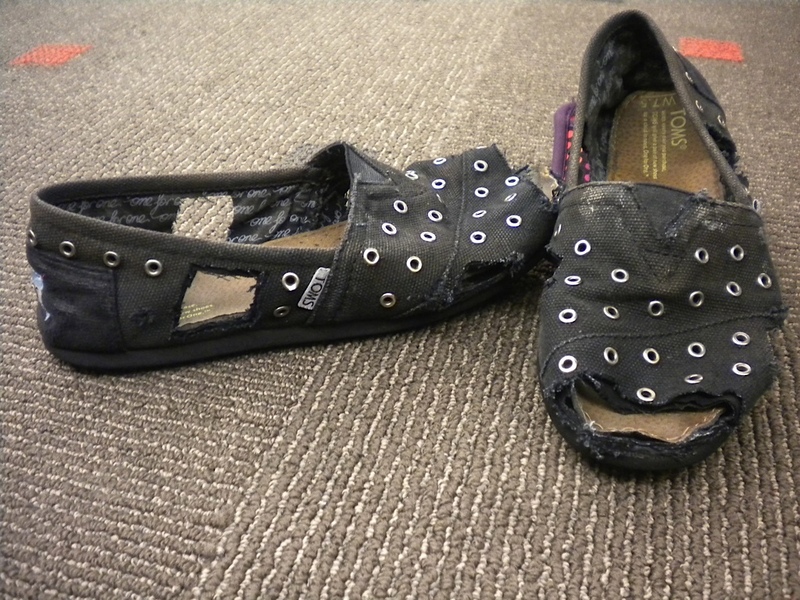 Hey, they are better than just having sad, holey TOMS. They will by artfully holey. Just make sure to not cut too big of holes on the sides or else they will lose their shape, making them pretty much unwearable and a waste of nervous cutting. The best plan of action is to try them on throughout the process to see how the different cut-outs look on your foot (strutting and posing in your lounge is completely optional but highly encouraged to get the full effect of how they will look). Once you have set down the scissors and are satisfied by your pseudo-new pair of shoes, you can celebrate by wearing them in this cold weather with some cute socks or wait until it is a bit warmer (which, here in Missouri, could be tomorrow). As always, happy crafting and go Tigers! MIZ-DIY! Victoria's Secret PINK Mizzou Giveaway Scavenger Hunt!